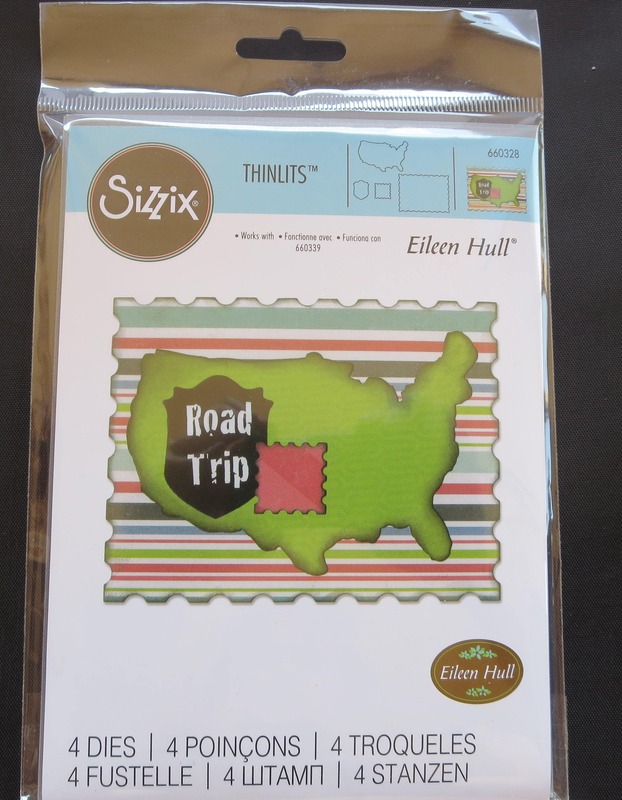 Sizzix-Framelits Dies. Cut what you see! It is that easy and efficient with Framelits! These wafer-thin chemical-etched die sets feature the perfect print registration without interference from any ridges at the edge of the die opening. 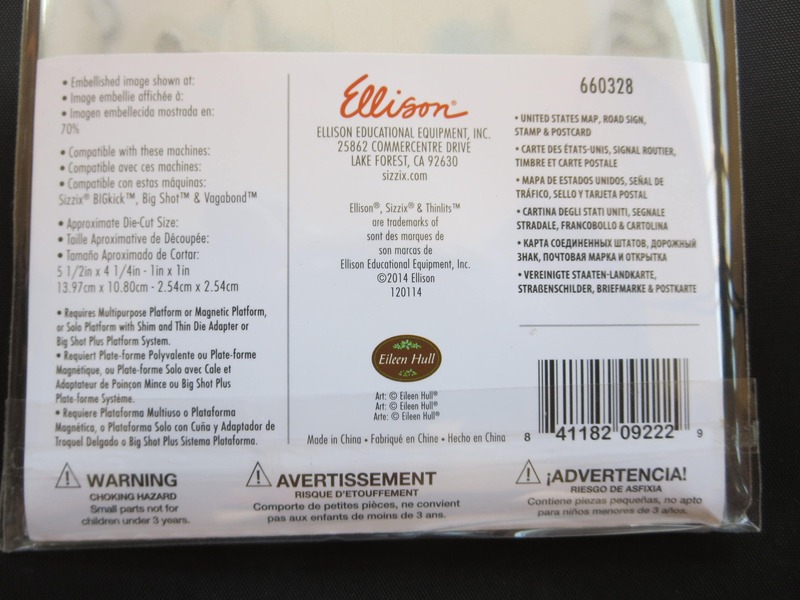 Plus, they are excellent for clearly cropping photos and cutting windows in cards, bags, boxes and scrapbook pages. Designed to cut a single sheet of cardstock, paper, metallic foil or vellum, these dies also make great stencils and are perfect for layering to produce a 3D effect. Works with Sizzix BigKick, Big Shot and Big Shot Pro and Vagabond machines (not included). This package contains U.S. Map, Road Sign, Stamp & Postcard: a set of four dies that cut pieces ranging in sizes from 1x1 inches to 4-1/4x5-1/2 inches. Designer: Eileen Hull. Imported.